Although I didn’t bring a camera on the Camino, several generous friends I met along the way promised to send me some of their best. 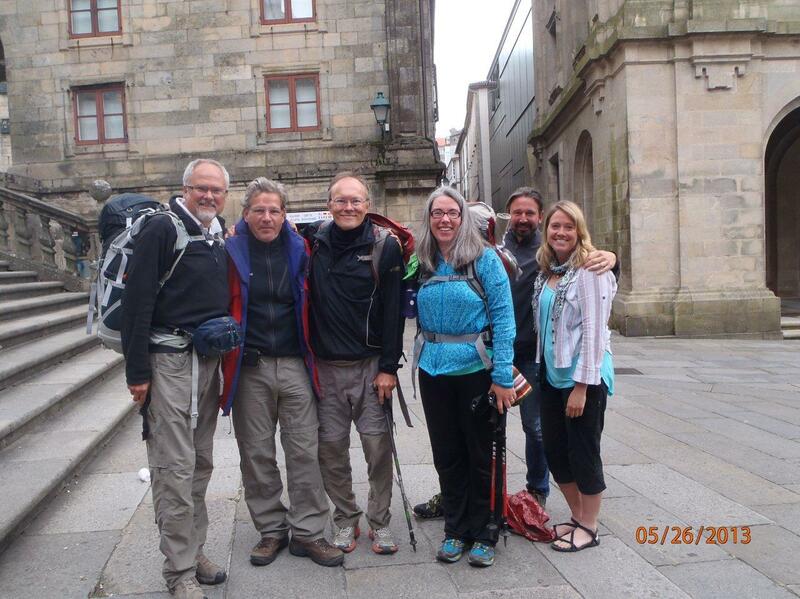 I walked with Gary, Scott, and Mattias for about four days and we hung out together in Santiago for two more. 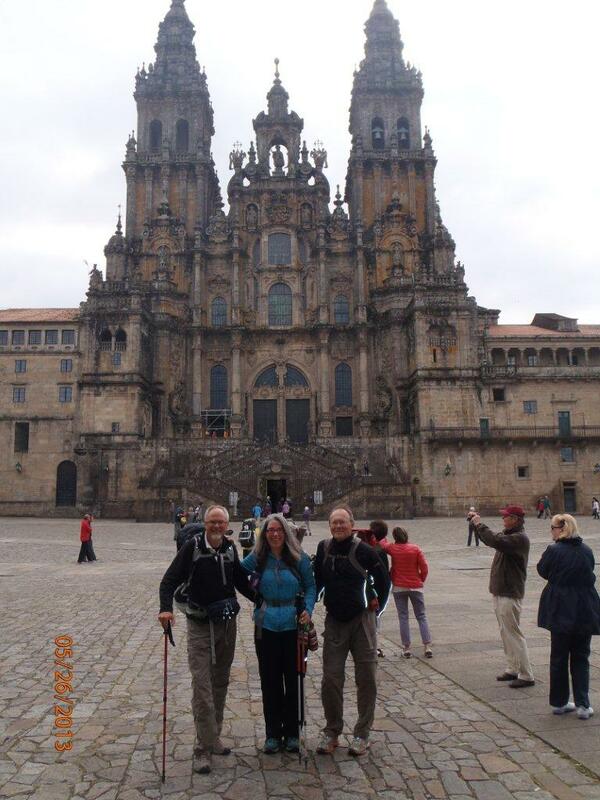 We were hell-bent for Santiago to make it to Mass on Sunday, May 26. I couldn’t have done it without their humor, focus, and company. 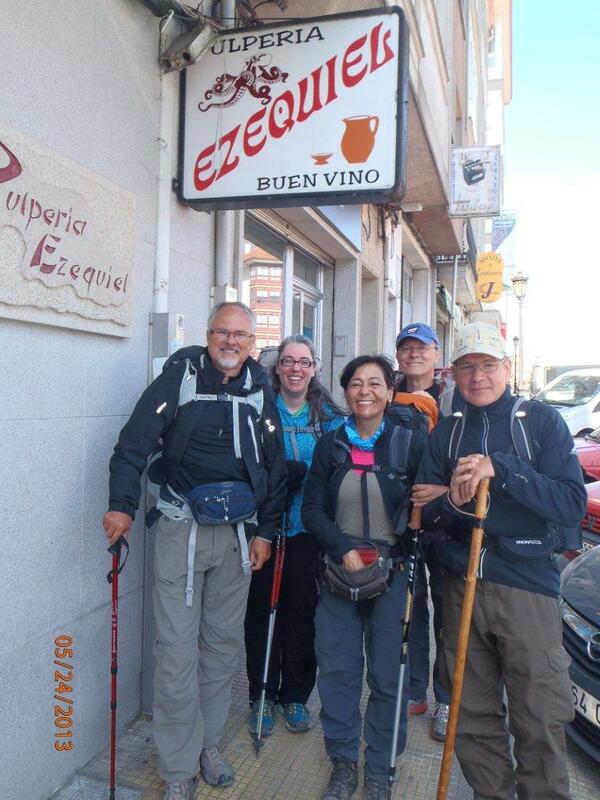 Our longest day (to Monte de Gozo) was 22.5 miles in 10.5 hours! Woohoo! On the left is Sonia from Mexico, me, Gary, and Scott — all lounging at a bar somewhere along the way. One of Gary’s hopes was to try pulpo, a Galician staple that consists of boiled octopus rings slathered in a garlic-y, buttery sauce. His wish came true at this highly-recommended pulperia restaurant. A friendly local agreed to take a photo of the gang of us (note Mattias from Germany is in this one on the far right). This was the one photo I really wanted — and Gary got it 100% right. 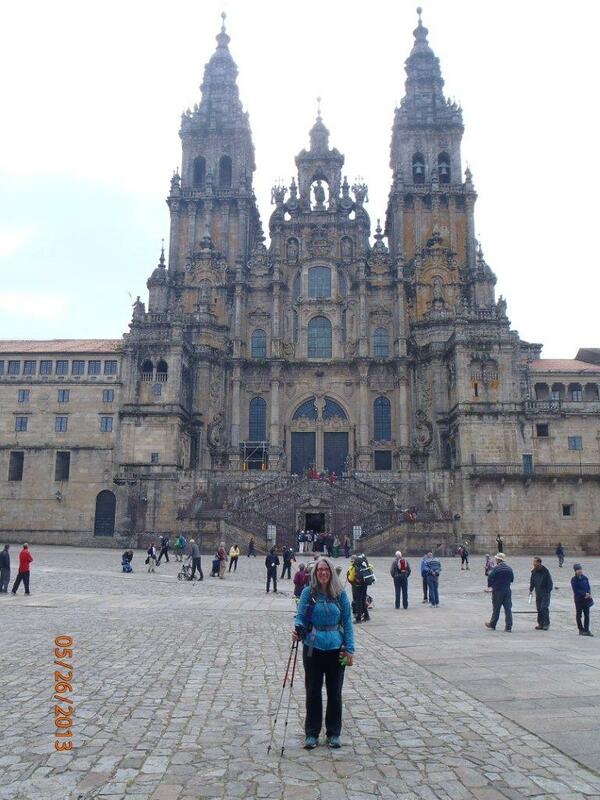 Big cathedral. Me grinning. It was so sweet of him to take this and promise to deliver it to me. Gary and Scott went to eye doctor school together and have been friends ever since. 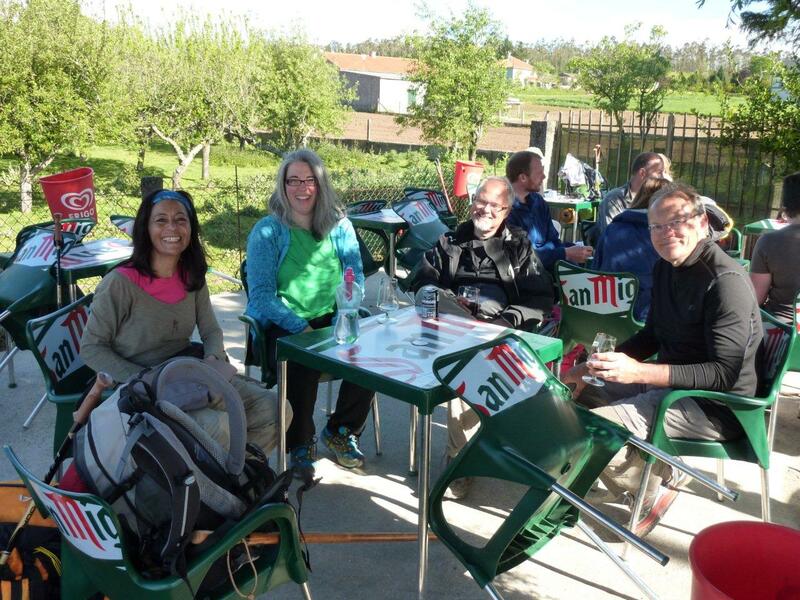 We got separated from Matthias the night before we arrived in Santiago, but found him again right before the pilgrim Mass… along with some other friends of the guys! Wonderful pictures! You look so happy and full of life! Thanks, Gayle! It was an incredible time!